So, I’ve decided that this Christmas I am going to create some gift in a jar gifts! But, I want them to be special – not the run-of-the-mill jar gift. Hence, Pinterest was my first resource to find some fun, fairly easy, fairly inexpensive gift in a jar ideas! I would like to present you with 10 of my favorite gift in a jar ideas (in no particular order)! I wanted to pick some that are a little unique, as well as some that are non-food items. The first one that caught my eye is this Brownie in a Jar, found on this cute blog called Magnolia Rouge. How good does this look, even uncooked and in a jar! The recipe is very simple and sounds amazing! Please be sure to alert your recipient that this does have nuts in it, just in case there are any nut allergies to worry about. The 2nd one is SO enticing! It’s called Oatmeal Peanut Butter Jar Cookies, found on Baked Brie. How sinful, yet awesome do these look? I love that you top the layers with mini Reeses cups – what is there not to love about this one? Then, I stumbled upon this one! My 3rd favorite gift in a jar idea contains one of my beloved fruits – cranberries! It’s called Cranberry Bran Muffins found on Midwest Living. It has lots of healthy “stuff” in it and the cranberries add a Christmasy color to your gift! Again, there is the nut factor (which, by now, you’ve probably figured out that I love nuts). This next one, my 4th favorite, looks delish! It’s called Christmas Macaroons found on Better Homes and Gardens website. Here is a picture of this ta-die-for gift in a jar that I found on a cute blog called LilyBean’s Paperie. These cookies sound SO good. Now, if easy but cute is right up your alley then this next one will be perfect for you! My 5th favorite gift in a jar is called Holiday Seasons Sweets Jar, another one found on Better Homes and Gardens! Put the ingredients together to make hot cocoa! I never thought to put peppermints in hot cocoa, but what a special touch that would be! I just think it’s adorable yet so easy! This next one, my 6th choice, is simple and ADORABLE! It’s actually not a recipe. Kind of like the idea above, you just need to fill the jar and decorate the jar. 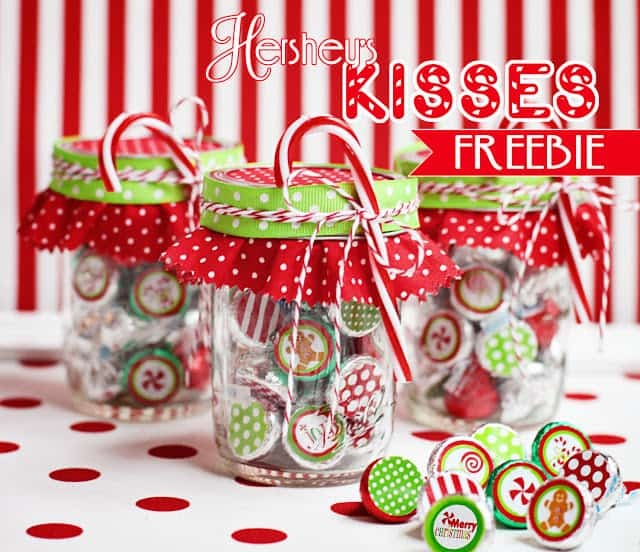 I found it on Amanda’s Parties to Go – called, Christmas Hershey’s Kiss Printables! How absolutely cute and personable is this?! How fun would it be to receive this as a gift? After looking at the directions, it may take a little bit of time cutting out the stickers, and keep in mind that you will need to have your color print cartridge ready to go! But since you don’t have to layer anything with this one, the time taken for the stickers is not a big deal. There are a bunch of different designs on Amazon, so just pick your faves. Not all gift in a jars need to be sweets! What’s better than a pot of homemade soup on a cold winter day/evening? This is where my 7th favorite gift in a jar comes in! It’s called Friendship Soup Mix in a Jar and can be found on Thrifty Fun. I mean, really, it doesn’t get any better than receiving a gift of homemade soup fixins’ from a friend! I really wanted to find some unique gift in a jar ideas, even some that are non-food items. So, this next one really caught my eye. My 8th favorite gift in a jar idea is called Lemon Sugar Hand Scrub which I found on an adorable blog called Under The Table and Dreaming. To make this scrub, all you need is 3 ingredients – THREE! This actually looks good enough to eat, but save it for your skin! I found another sugar scrub that would be absolutely PERFECT to give as a gift for Christmas! It’s called Candy Cane Sugar Scrub, found at Natural Beauty Workshop! This looks delectable for the skin! This one is quite a bit more complicated and time-consuming to make, but the end result appears to be boutique quality scrub! Ingredients such as Shealoe Butter, Red Jojoba Wax Beads and Beeswax contribute to this decadent homemade gift! The 10th gift in a jar that I’m presenting to you is actually my favorite of all. It’s not ingredients for a sinful treat, it’s not candy, it’s not ingredients for homemade soup, and it’s not a sugar scrub. It’s literally love in a jar. 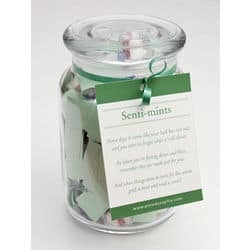 The name of it is Senti-mints, found on Findgift.com. I love this one, because you fill it with personal messages, memories, quotes, etc. You also fill it with mints. One year, my sister and brothers put together one of these for our mom. 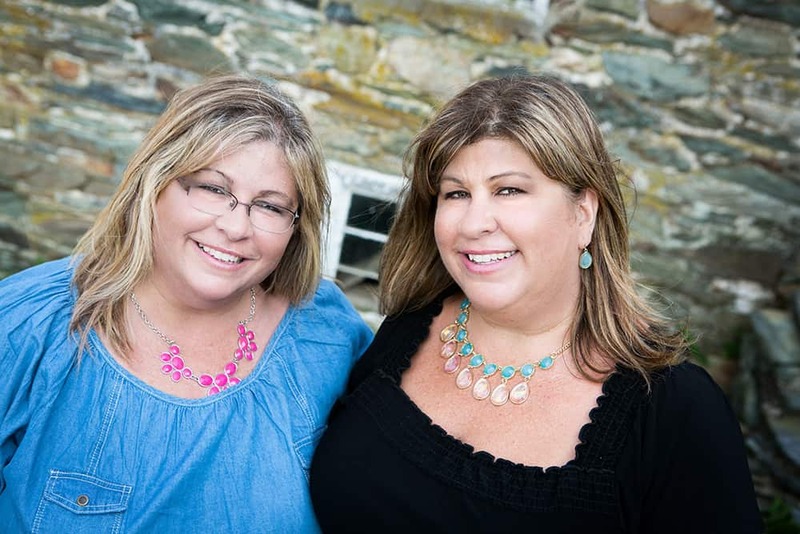 She has told us several times, over the years, that these personal messages mean the world to her and have reminded her of how much she is loved in times that she feels lonely. What a great gift to give your parents, grandparents, even teachers (your kids could write all of the things they love about their teacher)! As you can see the sky is really the limit on what you could put into a gift in a jar, and how you could decorate the jars. There are tons of free printables, online, for tags and even embellishments to glue onto the lids of the jars. 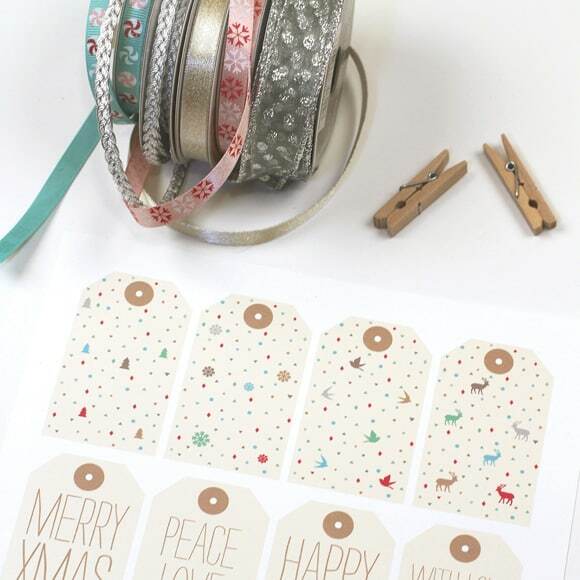 Here is an example of free downloadable tags that you could use, found on Love vs. Design! I, personally, love the look of the Mason Jars, and got a case of them at Home Depot for about $10. For more gift in a jar ideas, check out our Chocolate Chai Gift in a Jar & Espresso Cocoa recipes.